Now this product is cool. 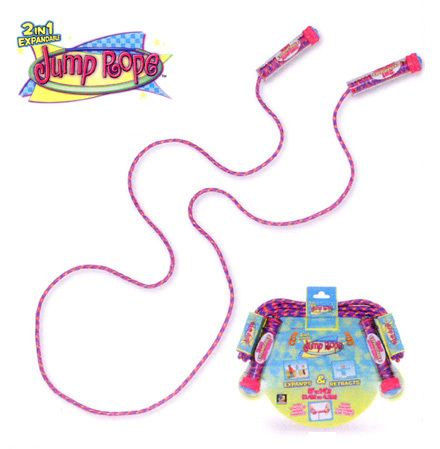 This jump rope has handles in which you can wind up 5 feet of extra rope…that’s 10 feet of extra rope in both handles. You can jump rope by yourself using the ropes wound up into the handle…but you can also unwind the extra rope, thereby creating a long rope of some 16 feet in length so that three kids can play (two swinging the rope and one jumping)…Two such ropes allow you to perform Double Dutch routines too!